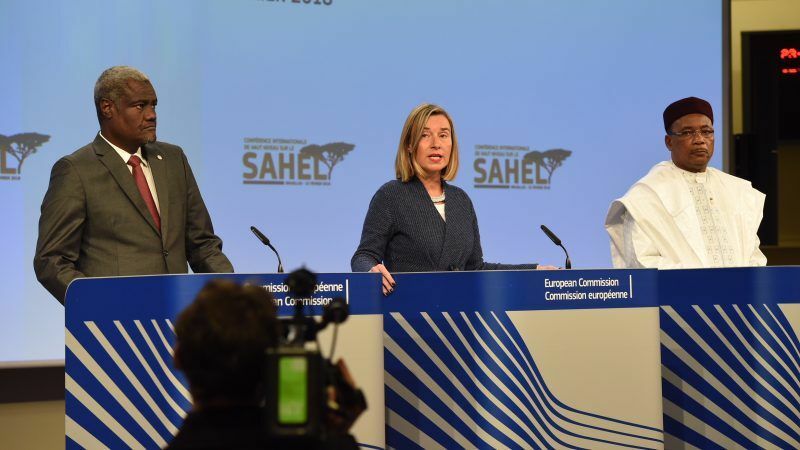 There was strong political support for the Sahel region in Brussels on Friday. The high-level conference on the Sahel region was attended by more than 60 delegations and 14 partner countries. 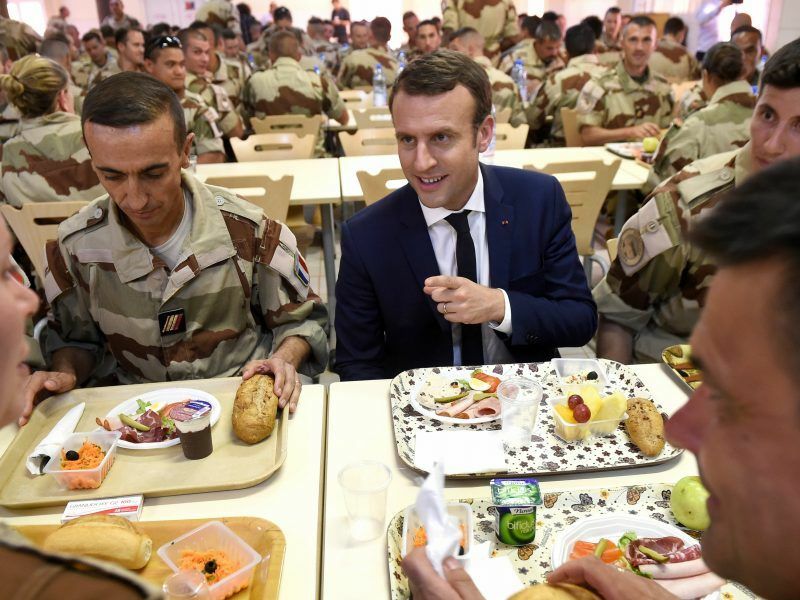 The objective of gathering funds for the joint military force (of which Burkina Faso, Mali, Mauritania, Niger and Chad) was reached and it even exceeded the French authorities’ target of €300 million. The aim of the military force (launched in 2017) is to drive out terrorist groups, smugglers and organised criminal gangs that are taking advantage of the weakness of the state in certain areas of the region. It is a critical region since poverty, climate change and the collapse of the Libyan state have turned it into an ideal breeding ground for all sorts of smuggling and could also be a haven for Daesh fighters fleeing Syria. 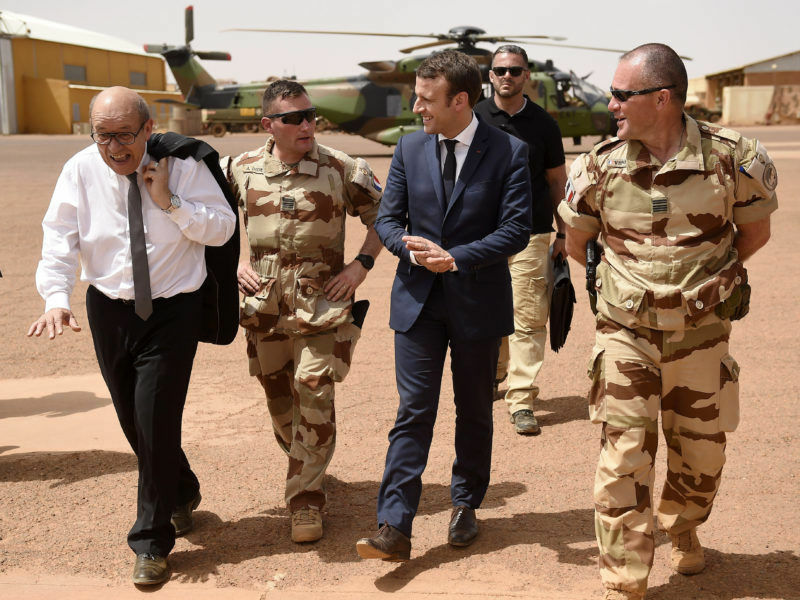 The international community is already active in the region in particular, by way of the MINUSME (United Nations Multidimensional Integrated Stabilisation Mission in Mali), and the French operation Barkhane. France has been a leading supporter of the G5 Sahel from the word go. “Europe has understood that the terrorist threat is not linked to the region,” stated Federica Mogherini, the High Representative of the EU. She also believes it unreasonable to “impose European ways of doing things on partners who have a far better idea of what to do”. Indeed, the idea is that the member states of the G5 Sahel will manage the operations themselves, with the financial and logistical support of their partners, and particularly, the EU, as it will administer the list of requirements issued by the G5 countries. The EU has doubled its funding for the G5, now amounting to €100 million, in addition to individual grants from member states. The list of donor countries also includes Saudi Arabia (€100 million), the United Arab Emirates (€30 million), and the United States (€49 million). Europe is not disinterested, said Mogherini, as the two main issues for European citizens are terrorism and migration. By way of the G5 Sahel, the EU is acting directly on these two matters. If financial mobilisation has been substantial, realistically the sum of €423 million covers less than the cost of the first year of the joint force alone, according to the G5 Sahel estimates. Whereas, France regarded €300 million as enough to cover the cost of operations. 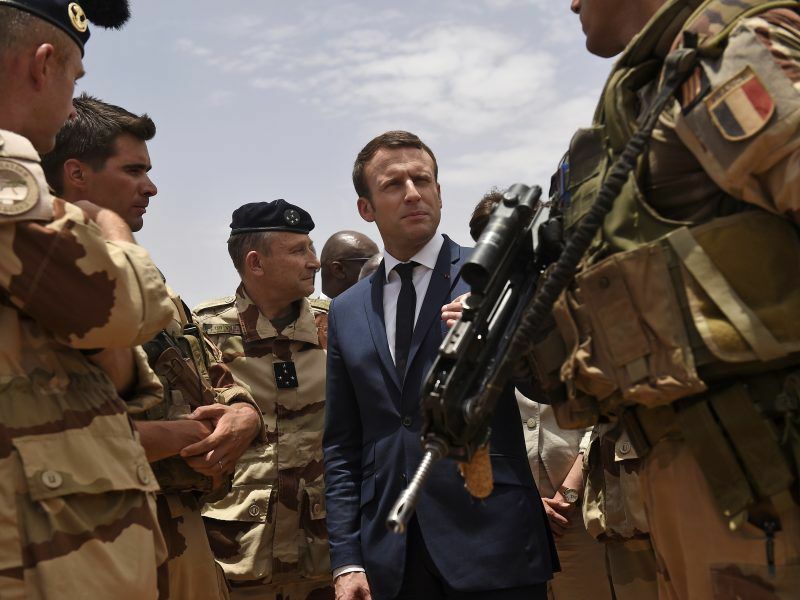 Furthermore, as Mahamadou Issoufou, president of Niger and chair of the G5 Sahel, stressed, no one knows how long the operations will last, and the joint force will need around €115 million every year to continue its work. The challenge, therefore, will be to secure sources of funding for the long term. For the time being, only donor mobilisation conferences such as the one that took place on 23 February can provide renewed funds for the Sahel region. “We are not yet at the stage of securing funding”, the French authorities acknowledged. The G5 Sahel will also need political support, especially from the UN. The five countries hope to implement their operations in the framework of chapter 7 of United Nations Charter, on the threat to peace in the world, which should guarantee them more permanent funding sources. “The fight against terrorism, is not only in the interest of the Sahel region but also in the interest of the world, consequently the European Union and the international community must stand together with the Sahel region,” stated Issoufou. The five countries concerned and their partners stress the need for complete action including an important chapter on “development”, stating that there can be no development without security, and there can be no security without development. “This isn’t only about security but also about development. Because there can no real conditions for security without social and economic development, such as opportunities for young people and women in the region,” stated Mogherini before the beginning of the conference. France, Germany, Italy, Spain, the UK, the EU, the World Bank, the African Development Bank, and the UNDP have announced that the Sahel Alliance will collect a total of €6 billion to finance development projects for the next five years. These funds will go towards the 500 projects that will be set up in the countries of the G5 Sahel, and will be based on six main areas: employment for young people, rural development, food security, energy and climate, governance, decentralisation and access to basic services and security. “Our aim is to expand and coordinate as far as possible our common commitment for a prosperous, resilient, inclusive, dynamic Sahel for its population,” said the chief executive for the French Development Agency, Rémy Rioux. France is the biggest donor with €1.2 billion, a 40% increase compared to the previous years’donations. “During this conference, we talked at length about the military aspect, which is of course important, as the aim was to mobilise resources for that purpose. But for the first time, we talked about striking a balance between the development and security aspects, as well as with the diplomatic and political aspect,” said Jean-Marc Gravellini, head of the coordination unit of the Sahel Alliance. And there is still work to be done: “Today among the ten countries in the world where girls have the least access to schooling, four are located in the Sahel region, and a woman living in Mali is 73 times more likely to die during pregnancy or birth than a woman living in France,” said Friederike Röder , head of ONE France. The head of the NGO is not completely convinced by the French government’s declarations.” Is it a public relations stunt or does it mark a real renewal of partnership with Africa that the president has announced several times?”, she asked.